It gets dark in the mine. A night light for fans of Minecraft! 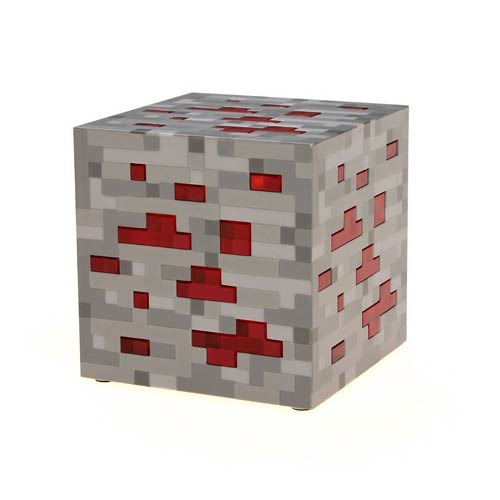 Tap the Minecraft Light-Up Redstone Ore Statue to activate the internal LEDs on low, medium, and high modes. The ore is a square 3-inches. It's guaranteed to keep the boogie oogie pigmen from coming out of your closet to murder you in your sleep! Requires 2x "AA" batteries, included. Ages 6 and up.